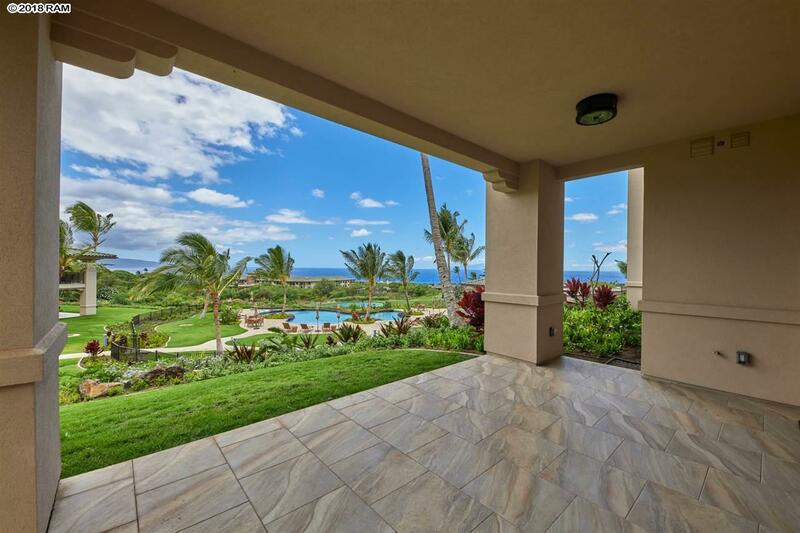 Welcome to Waileas newest gated residential condo community, Keala O Wailea. 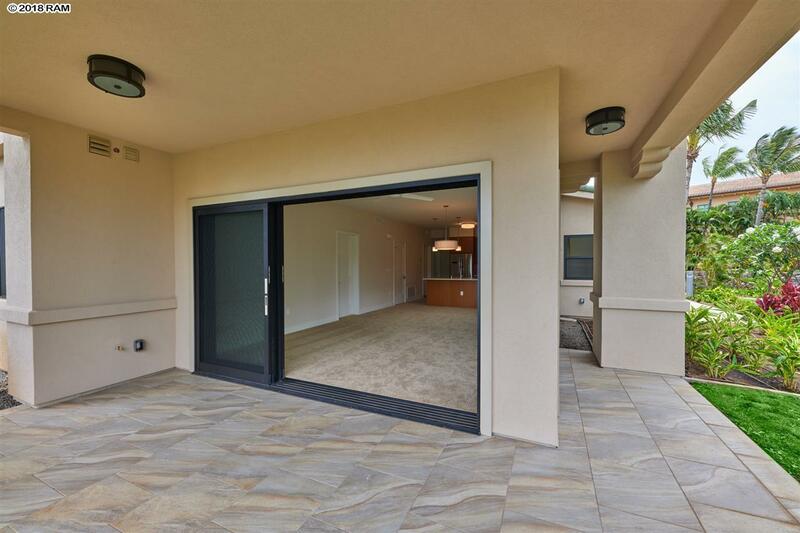 This BRAND NEW, 3-bedroom, 2 bath GROUND FLOOR-END unit, offers gorgeous mountain and ocean views from the large wrap-around lanai which is equipped with gas for private in-home BBQ. 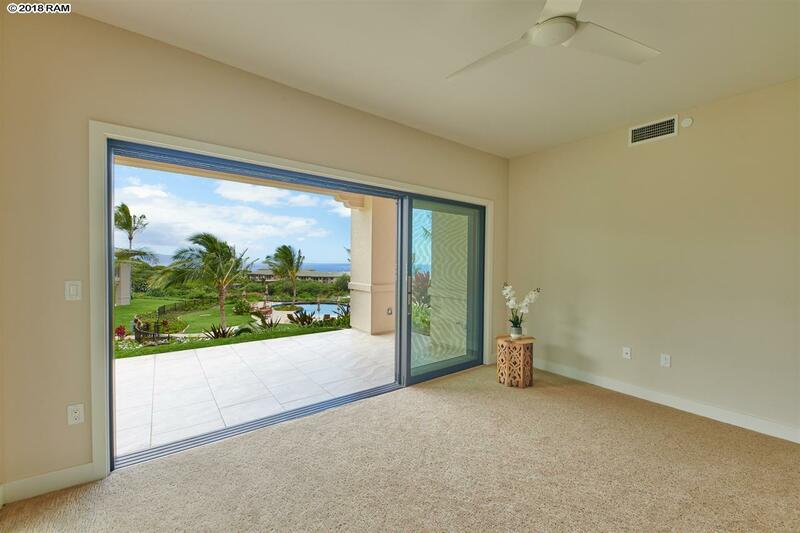 The spacious and contemporary Kitchen-Living area is encased with high windows and premium floor to ceiling Western Slider Doors, inviting Mauis tropical outdoor breezes and island living inside. Enjoy ocean views from the Master Suite, which offers separate tub and shower and a large walk-in-closet. Luxury finishing touches include, solid Marfil countertops, teak cabinetry, Bosch stainless steel appliances, Grohe fixtures, gas stove and Central AC accented with Minka Aire fans throughout these healthy LEED Certified residences. This unit overlooks the impressive community pool, which includes a Jacuzzi, exercise room with private lanai and a 2,500 sq. ft. covered pavilion with kitchen and BBQs. Comes with 2 deeded parking spaces. Both are within steps to the sidewalk leading to the unit. While Keala O Wailea sits in the heart of Wailea, and offers exclusivity and privacy, you can still take a short walk to world class restaurants, shopping, yoga, beaches and Championship golf courses in minutes. Pets are welcomed at Keala O Wailea. Vacant and easy to show on short notice!